FlipKart is offering upto 75% off on Innerwear. Amazon is offering 50% off or more on Swimwear. FlipKart is offering minimum 30% off on Inner Wear & Sleep Wear. 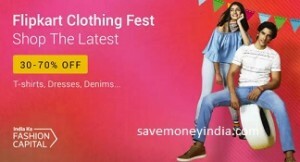 FlipKart is offering minimum 50% off on Men’s Clothing. Buy 4 Get 5% off: Automatic discount in cart. May not be applicable on few products. 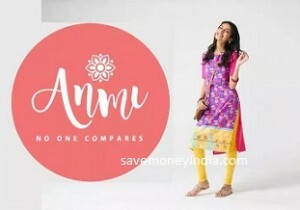 FlipKart is offering minimum 50% off on Aurelia, Biba & W Women’s Clothing . Buy 2 Get 20% off: Automatic discount in cart. May not be applicable on few products. 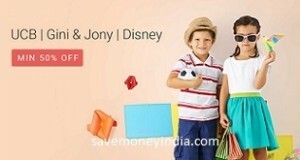 FlipKart is offering minimum 50% off on Kids Clothing. Amazon is offering 60% off or more on Men’s Clothing. 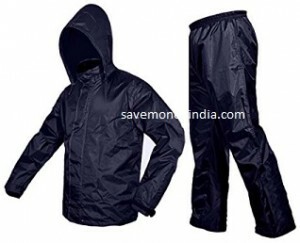 50 – 70% off on Clothing. Amazon is offering 50% off or more on Jackets & Hoodies. 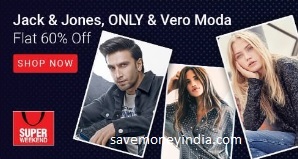 FlipKart is offering 60% off on Jack & Jones, Only & Vero Moda Clothing. 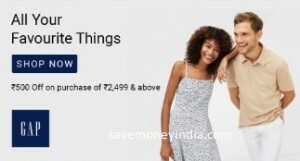 FlipKart is offering Buy 1 Get 1 Free on Jockey & Fruit of the Loom Women’s Clothing. Buy 1 Get 1 Free: Automatic discount in cart. May not be applicable on few products. Amazon is offering 50% off or more on Kids Clothing & Footwear. Amazon is offering 50% off or more on Clothing. Amazon is offering 25% off or more on Dixcy Scott. Upto 40% off: Apply coupon > Automatic discount in step Place Order. May not be applicable on few products. FlipKart is offering minimum 50% off on Stockings. FlipKart is offering Buy 1 Get 1 Free on Jockey Women’s Clothing. Amazon is offering 50% off or more on Sleep & Lounge Wear. 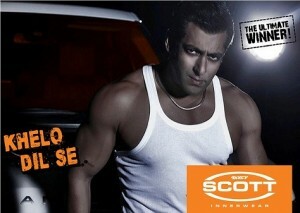 Jabong is offering Buy 1 Get 4 Free on Clothing, Footwear & Accessories. Amazon is offering 50% off or more on Men’s Clothing. Prime Members – 5% off: Automatic discount in step Place Order. May not be applicable on few products.